Roasted Harissa Sweet Potato Wedges - Recipe! - Live. Love. Laugh. Food. 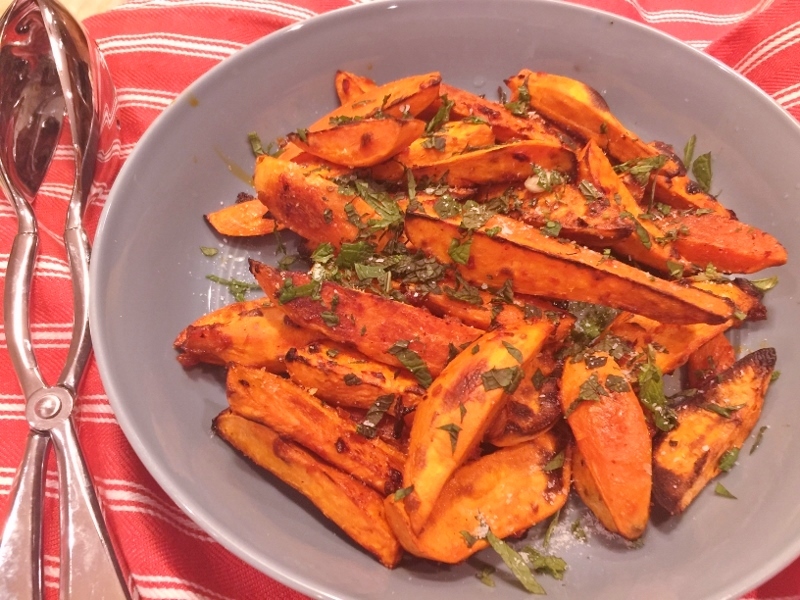 Roasted Harissa Sweet Potato Wedges – Recipe! 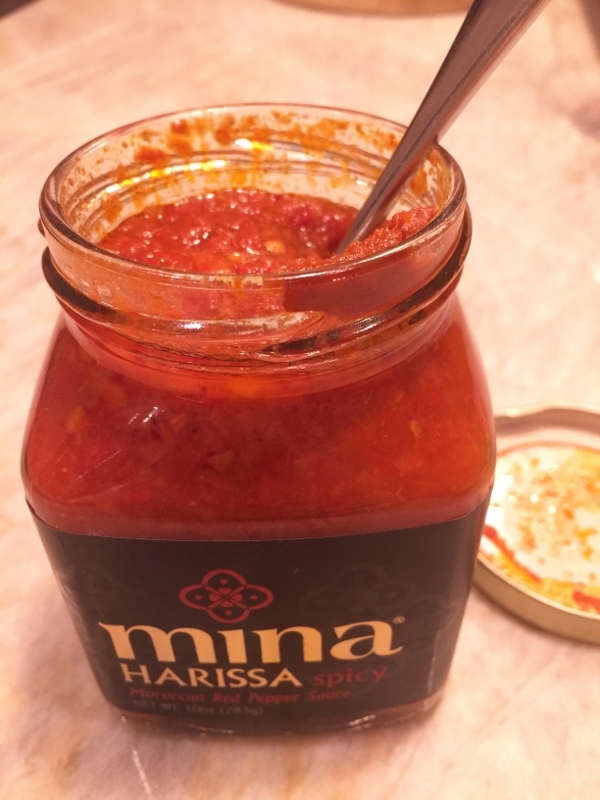 Harissa is a Tunisian red pepper paste made of roasted red peppers, serrano chilies, red onions and spices. This spicy paste tends to be on the hot side, but when tossed in roasted vegetables it becomes fragrantly mild with just a bit of heat. If you are not up to preparing your own Harissa, many grocery stores sell it in jars, which makes it quite handy. These sweet potatoes have a contrast of flavors from the naturally sweet spuds and the chilies in the paste. The exterior of the sweet potatoes become crispy after roasting – a nice compliment to serve alongside chicken, fish or pork. 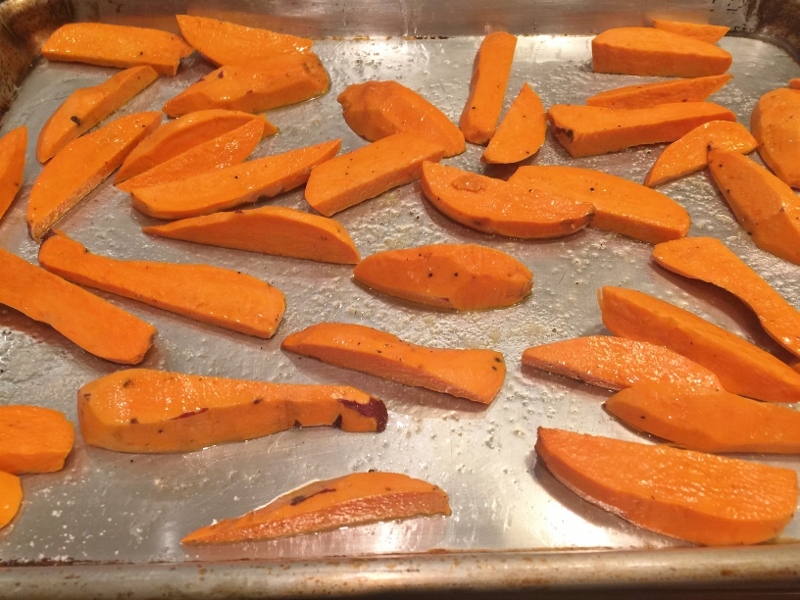 The thing I love about these sweet potatoes is that you feel as if you are eating a kicked up version of sweet potato fries without all the calories. Try a batch tonight and taste for yourself! 1. Preheat oven to 400 degrees. Toss potatoes wedges with 1 tablespoon of oil and place on a sheet pan. Sprinkled with salt and pepper and toss again. Make sure potatoes lay flat on pan. Bake for 20 minutes. 2. Remove from oven and spoon Harissa on potatoes, toss to coat. Lay potatoes flat on pan and bake another 15-20 minutes or until golden crispy brown. Serve potatoes in a bowl and sprinkle with parsley. Enjoy! 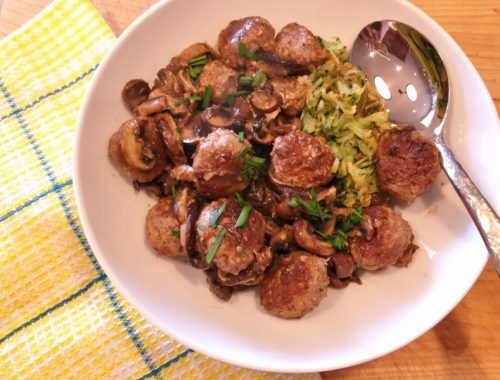 Pork Meatballs with Mushroom Sauce & Zoodles – Recipe! 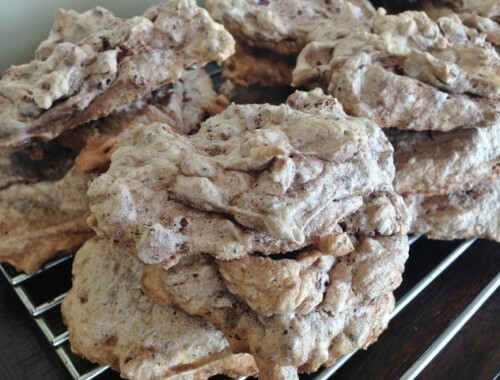 Chocolate, Cocoa Nib & Hazelnut Meringue Cookies – Recipe! Gluten-Free! 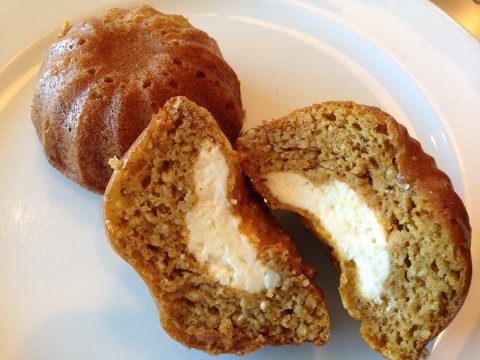 Pumpkin Cream Cheese Muffins – Recipe! Gluten-Free!